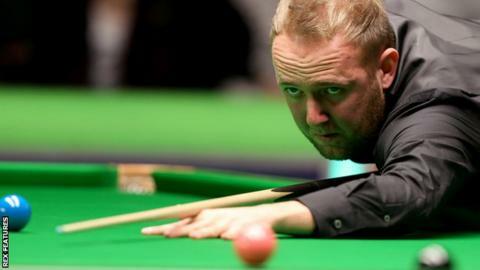 Adam Duffy insisted he was confident he could beat world number nine Ding Junhui in the first round of the UK Championship. The 26-year-old amateur, who does not even have a world ranking and is seeded 121 for the event at the York Barbican, won 6-2 to cause one of the biggest upsets in the tournament's history. "I am still in shock," the Sheffield star told BBC Sport. "But I knew how well I was playing and was confident, and I pulled it out." Two-time UK Championship winner Ding heavily criticised the playing conditions after his exit. But Duffy, who faces Northern Ireland's Joe Swail in the second round on Saturday, was "buzzing". "It's crazy," said Duffy. "What a feeling. He is a class player. Playing Joe Swail will be tough, but I am looking forward to it. "In the last couple of years I have not been putting in the hours I should have done and have been punished. "But I have been working really hard and been putting in loads of hours. If I do that I know how good I am."